Skip dessert, and wow your guests with specialty coffee drinks. 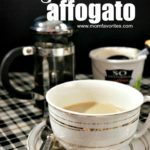 Holiday Entertaining is made easy with these three delish coffee drink recipes, including my favorite… Affagato! 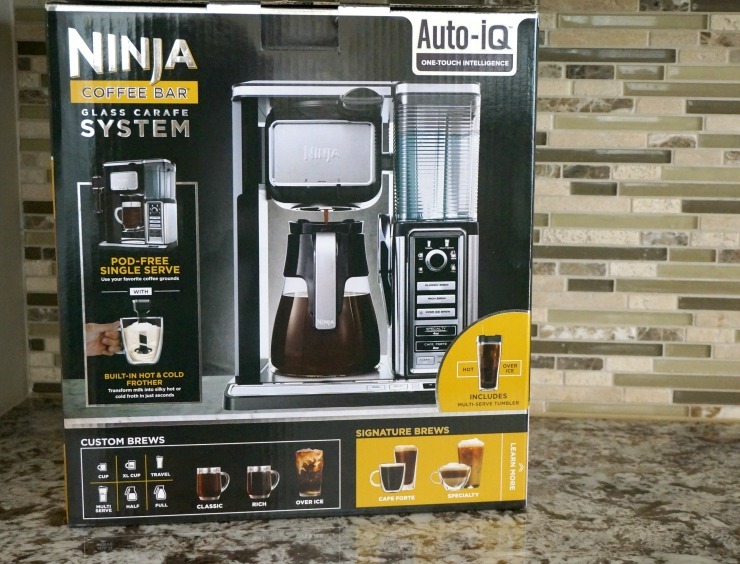 Don’t miss the Ninja Coffee Bar® System giveaway at the end of the post! Wowsers. Y’all ready? Here we are talking Christmas, and I’m still not sure what happened to pool time and flip flop weather! Although, walking outside barefoot to take out the trash a few minutes ago sure jolted me into reality. Brrr… Baby, it’s cold outside. With less than a full week of school left until Winter Break and Christmas Eve on my heels, it’s time to get my elf-bells on. For me, that means planning menus and meals. 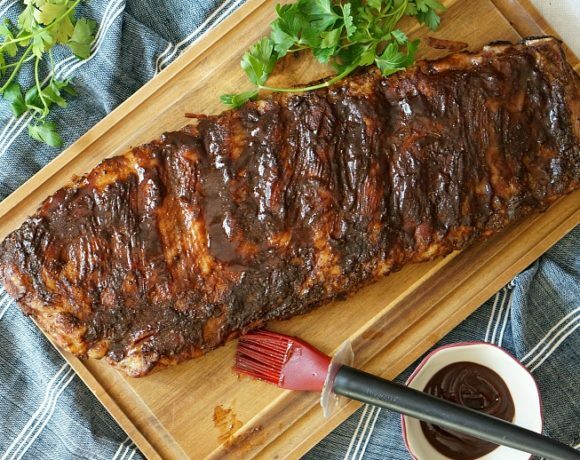 Because, what’s the point of any holiday if it’s not shared with friends and family over great food. Rooted in tradition, (twelve years strong, now! ), my husband Jon and I always go out for a Christmas-Eve-Eve celebration sans-kids. Christmas Eve is time for family dinner with grandparents, Aunts and Uncles at my house. Christmas morning is for opening presents and brunch at our house with everyone. Then it’s off to Grandma’s for Christmas Dinner. It’s non-stop merry-making fueled by booze and coffee. And boy am I ever prepared. Because I have a new Ninja Coffee Bar® System. Yep, Christmas came early for me, folks! Why am I so excited about this? 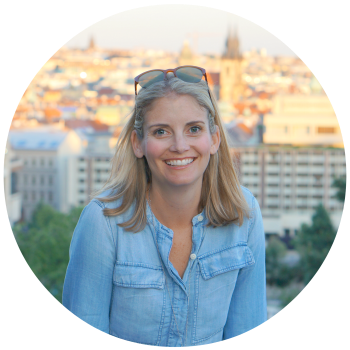 First off, I love a device that eliminates the need for multiple appliances. So long single serve coffee machine, so long coffee maker, so long espresso machine. This guy does it all. Hot. Cold. Full pots of coffee or a single-serve tumbler. Oh, and it has a fancy frother for cappuccinos and cold drinks alike. So yes, I have coffee. But you know what that also means? If I bust out my inner barista, I don’t have to pretend to be able to bake. Coffee with bailey’s anyone? An Affagato? 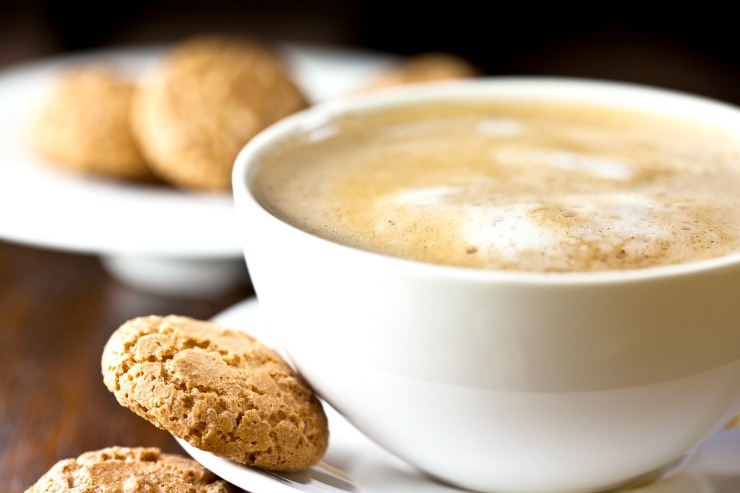 How ’bout a Cafe Forte with a biscotti? Yep, multiple options makes it seem like I’m the hostess with the mostest without even turning on the oven. 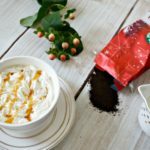 Here are a few coffee drink recipes I’ll be using on Christmas Eve and Christmas Morning to get my guests perfectly caffeinated for all of the festivities. 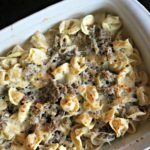 Affagato – Impress everyone at the table with this very fancy sounding and very Italian treat. To make this beauty brew 10 ounces of coffee on the Specialty Setting, which creates a uniquely concentrated coffee similar to espresso. 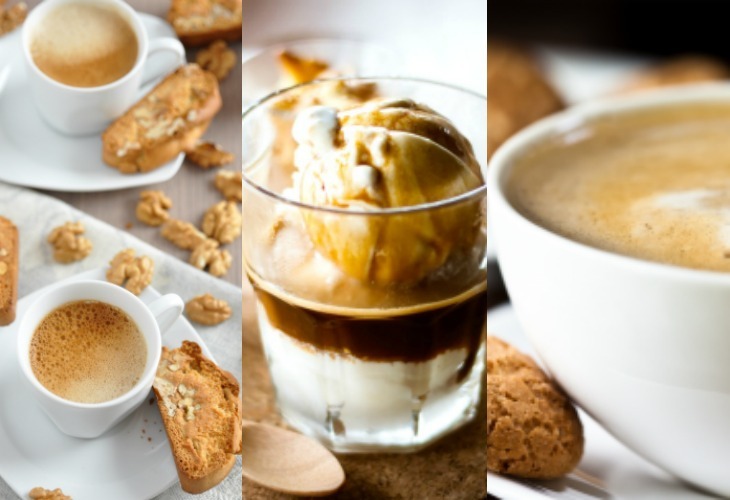 Now, all you’ve got to do is pick out your favorite ice cream or gelato flavor and pour a few ounces of hot concentrated coffee over top. Voila. 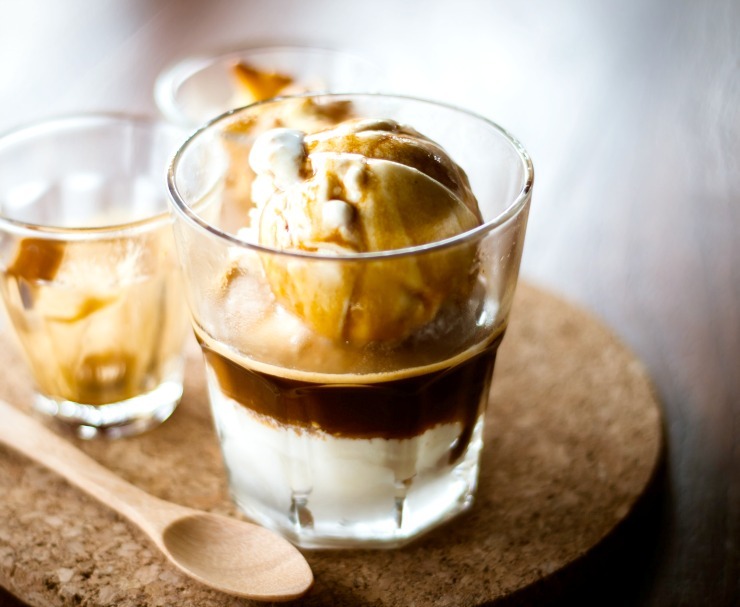 Caffeine + Ice Cream = Dessert. Bailey’s and Coffee – Need a little booze in your coffee? Me too! Brew a pot of your favorite coffee and pour into a pretty mug. Now it’s time to use the built-in frother on your Ninja Coffee Bar® System. Whip until you get frothy perfection and pour on top of your hot coffee. 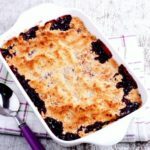 Oh what yum! Cappuccino – The formula is simple: 1/3 rich coffee (I’m digging the specialty brew on the Ninja Coffee Bar® System again for this), 1/3 steamed milk and 1/3 froth (bust out the built-in frother to whip up some of your steamed milk). Knock yourself out trying to make a fancy design on top, or you can just serve it with a biscotti and save yourself the trouble. I’ve noticed that no one cares about silly designs when deliciousness is beckoning! Ready for a cup? What shall I make ya when you come over to celebrate this holiday season? 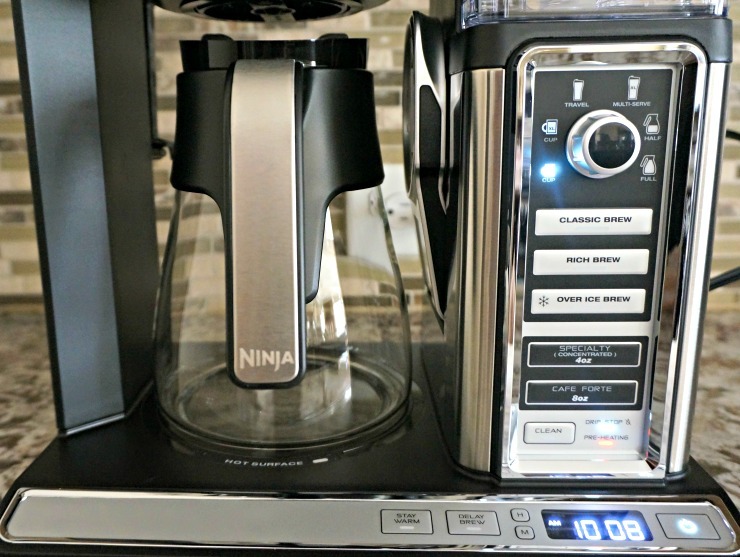 Share the recipe you’ll be making if you win the Ninja Coffee Bar® System! 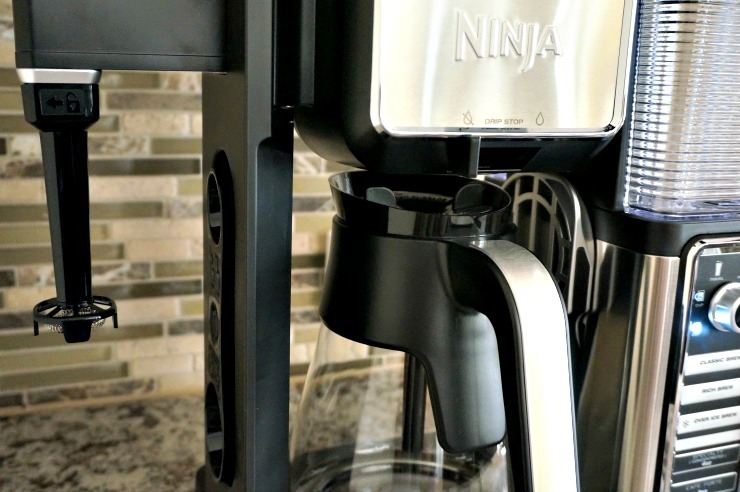 One lucky commentor will receive their own Ninja Coffee Bar® System valued at $200. Details of giveaway: Enter by noon on December 19th with a comment on this blog. Contest entrants are only eligible to win once per sweepstake, per household as a part of a campaign sponsored by Influence Central and must reside in the United States. I’ll make the Affagato, because it sounds absolutely DELICIOUS! I would lake a simple latte. Yum. That affagato looks amazing!! I would love to try it! Thanks for the chance to win!! Cappuccino! Instead of only getting a cup when we go somewhere, now I could have it all the time! And, I’d be more than happy to serve some to my guests with some homemade cookies. 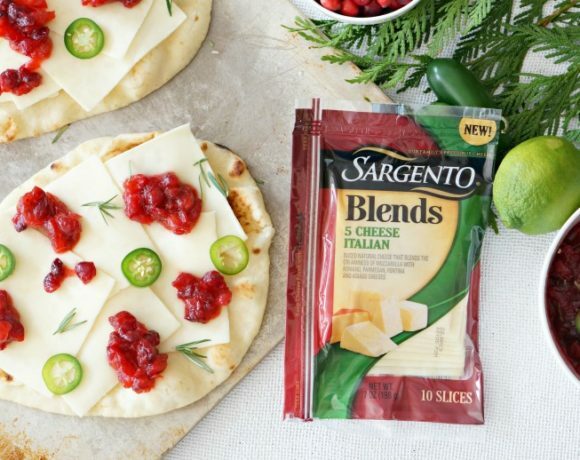 I’ve tried the single serve only version but this looks way more useful! 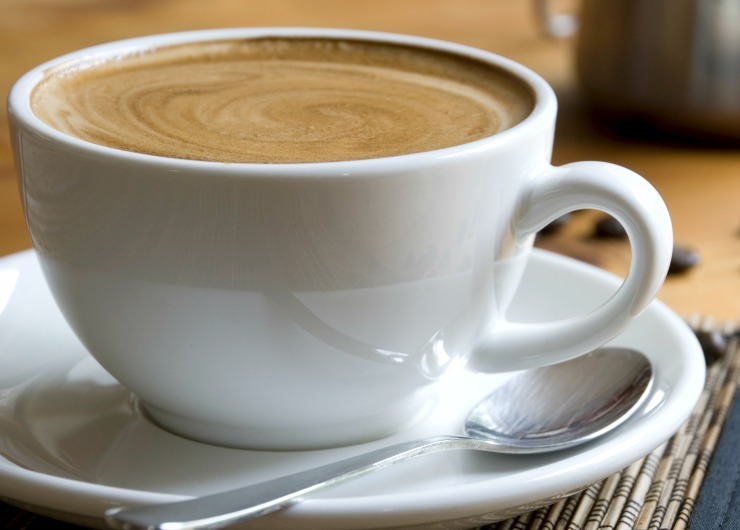 I would like to try and make the Coconut Macadamia Coffee recipe! It looks so good. I will be making a Mocha Peppermint Frappicino. Simple to make chocolate syrup strong coffee a little milk and some peppermint flavoring. Yummy. I would make the Bailey’s and Coffee! They all sound delicious! I would make all of them, for sure, but Cappuccino’s every day! And of course I mean NON fat milk – I have a newborn and it’s a late night feeding lol clearly mom brain ? One I would try first is a Peppermint Mocha Latte. I am addicted to those things! If i won this, i would make Cappuccino’s for everyone!! This would be fun to have in my home and something i know i would just use all of the time. I will be making Bailey’s and coffee. 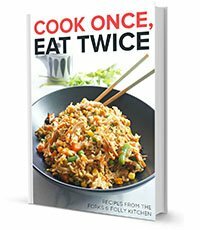 All of the recipes sound so yummy! I would make an Bailey’s and coffee if I were the lucky winner. I would love to make a Cappuccino! Yum! I love coffee and trying new coffee drinks out. It makes me happy!! My favorite coffee drink is iced caramel mocha. I would also make lattes and all sorts of drinks. I really want a ninja coffee bar! I could use a Bourbon-Spiced Pumpkin Latte right now!!! I would make a caramel macchiato!! I would try their coffee nog recipe with coffee, rum and eggnog. I will probably make a peppermint drink but with cuban coffee- yum! A nice cup of cappacino sounds amazing as I open gifts with my family! I would want a a peppermint Cappuccino recipe! These look amazing!! I really think I would need a cup of each one and I would start with the Affagato! I would go with the Cappuccino for sure, I really like the built-in frother feature so I can make that along with other drinks!